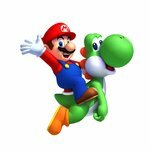 The Switch simply wouldn't be a Nintendo console if there wasn't a Mario Brother or two to help sell it. New Super Mario Bros. U brings the Wii U classic to a new generation of Nintendo console, and allows you to take it anywhere for the first time. Just like its predecessors, New Super Mario Bros. U is a 2D multiplayer platformer - up to four players can grab a controller and assume the role of Mario, Luigi and two Toad characters at the same time for simultaneous co-op (or competitive) play. Some new features in this game include an array of precarious level gimmicks - a snow stage plays host to some large spinning stars, which require careful timing in order to overcome - and a brand new flying squirrel suit. If you get this, your character will acquire a funny looking cape (which will make them look like a vampire on foot) that can make you soar with a simple spin jump. 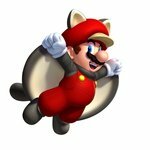 Like similar air-based power-ups, you can use the flying squirrel suit to glide as well. You can also pick up Baby Yoshis and carry them around with you. The benefit of doing this? You can make it expand like a massive balloon and float upwards, with spin jumps helping you to stay in the air for longer. Baby Yoshis will also gobble up any enemy that walks into your path, which is quite handy as the stages in New Super Mario Bros. U can get pretty tough to say the least. As the U in the name suggests, this was originally a Wii U game. 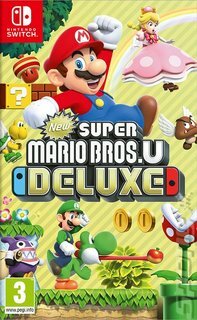 On the Switch players get a ton of extra content, however, with the inclusion of the follow up game (created using the same rock solid gameplay foundations) New Super Luigi U! In a nustshell, it's old-school Mario action with a twist and it's bigger than ever on the Switch!